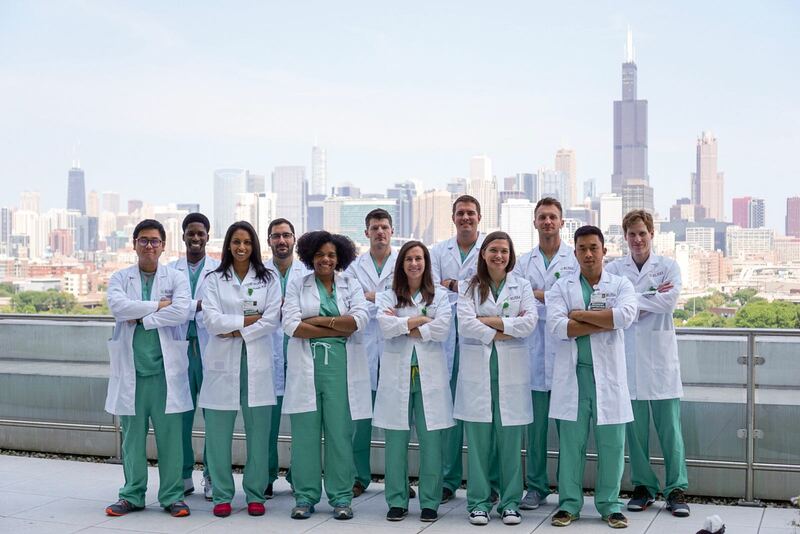 The Rush Emergency Medicine Residency Program develops outstanding physicians committed to high-value, patient-centered care and the advancement of our field. It is our aim to train the world’s most versatile, compassionate, and innovative Emergency Physicians. With close-knit teams, trainee-driven program development, individual mentorship, and an adaptive, hands-on curriculum, we are dedicated to serving a diverse patient population in a wide range of clinical contexts. We believe the next generation of Emergency Physicians need not only a mastery of clinical diagnosis and patient care, but the ability to have a positive impact on any real world Emergency Medicine setting. Therefore, we foster confidence and academic excellence by nurturing leadership, inclusive feedback, and an exploration of clinical interests personally meaningful to residents. Our residents not only receive world-class training but also benefit from development opportunities beyond their daily schedules. Scholarships, seminars, team retreats and symposiums allow residents to become true leaders in the department and their field, while ultimately providing the most innovative care to our patients. Philanthropic support makes these opportunities possible — make a gift today.